The Blanchard Historical Society is dedicated to the preservation of the history of Blanchard, the historical buildings and landmarks and its people. We plan to accomplish this by the discovery, preservation, and dissemination of knowledge about the history, people and historical structures of the area in and around Blanchard, Oklahoma. 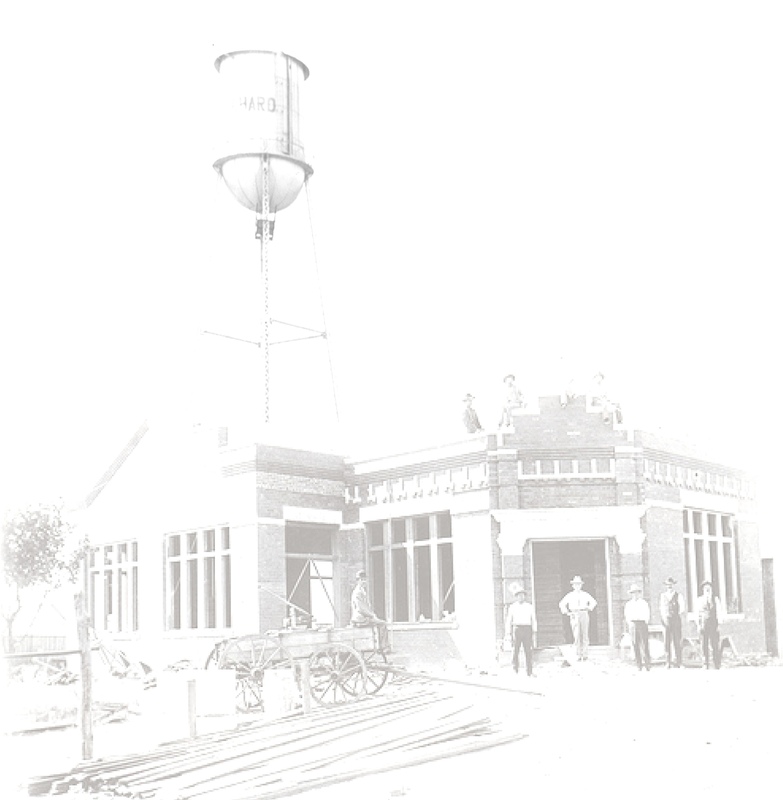 The Blanchard Historical Society was instrumental in saving the Old City Hall and Old Water Tower from destruction in 2009. As lease holders of the building we were able to raise funds for some needed repairs and maintenance. The city has realized the potential and usefulness of the building and is currently remodeling the building to look similar to the original. It is unknown at this time if we will be given use of the Old City Hall when renovations are completed to reestablish the displays of our photographs and artifacts which are currently in storage. Thank you for your support. Meetings will be called as business dictates. The location will be determined upon calling a meeting..
Help us help other in finding information on their families. See our genealogy page.